To a journalist, calls like that can generally go one of two ways: either someone wants more information or they want you to know you got it wrong. But this particular call I got recently brought me back in time, to my visit to Hugh and Shandi Bradley’s Cut Bank, Mont., place last May. 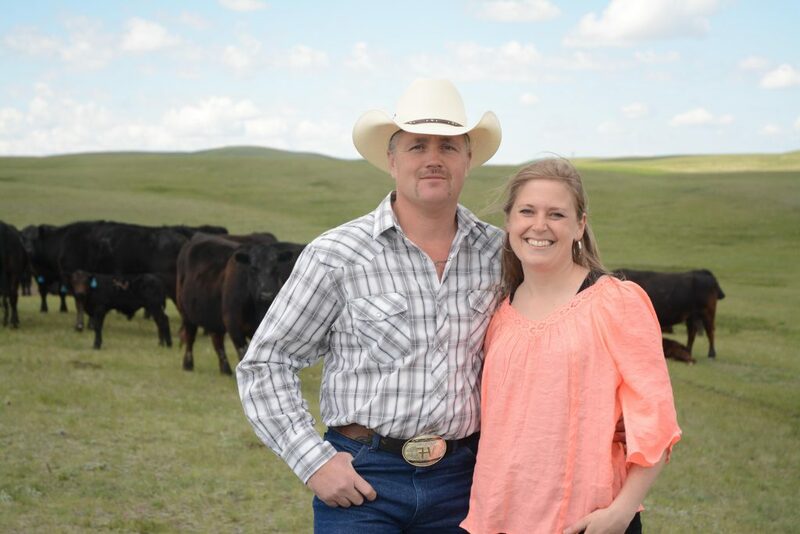 Hugh and Shandi Bradley, Cut Bank, Mont., toured me around their beautiful ranch one day late last spring. Today, their story is still inspiring others to ask questions about DNA. The phone call was from a Nebraska cattleman who read my story, “Getting there fast,” and that sparked his interest in DNA technology. “Yes! Yes! Yes,” I silently cheered. That’s why we write these stories, to show successes, so that others might apply something and find the same. 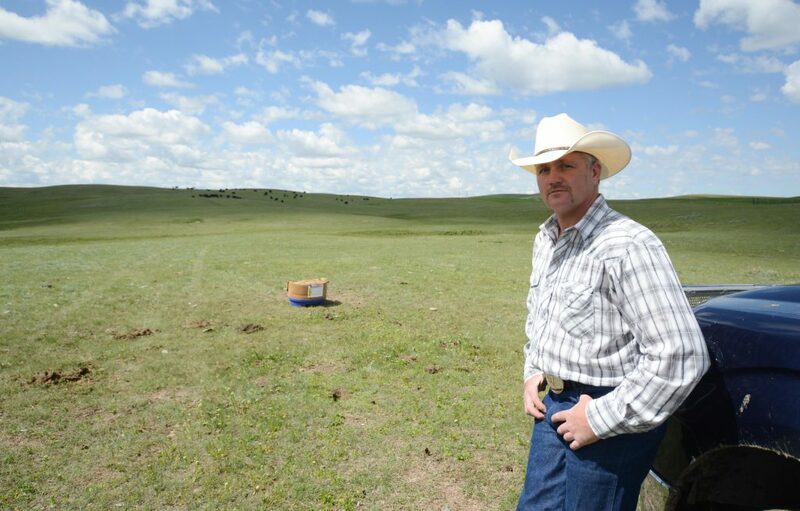 In 2012, after buying an HD50K-tested bull and wanting to learn more about what that meant, he “stumbled upon” commercial DNA testing. With no feedback from buyers, Hugh turned to commercial DNA testing to “get a picture” of his calf crop. The first results were disappointing. In 2014, his average GeneMax focus score was 30 out of a possible 100. 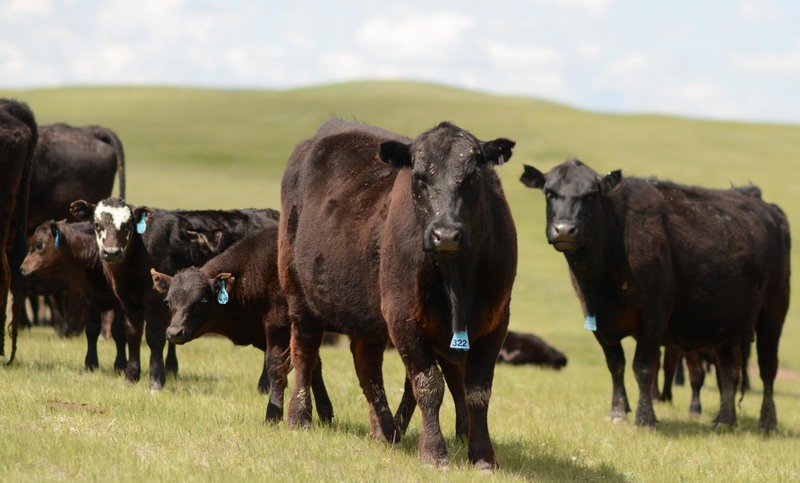 By last summer, 61 tested steers had a 74.1 average. Sorting off the bottom few, the rest were qualified for marketing through the Top Dollar Angus program. The cattleman credits part of that jump to using the GeneMax Advantage on replacement heifers. By his third round, Hugh decided to make his first cuts on those hard numbers and then follow-up with visual appraisal. “There’s been some awful good calves that went down the road, that we really liked, but they didn’t have the score,” he says. At $17/head for steers (GeneMax Focus) and $44 for heifers, some are skeptical of Hugh’s use of the technology. Don’t try to tell Hugh that DNA test costs too much. He’ll tell you it costs more not to. It’s been nine months or so since I was in Montana and met the couple and son Walker (daughter Olivia was in school that day. ), but I still remember details. 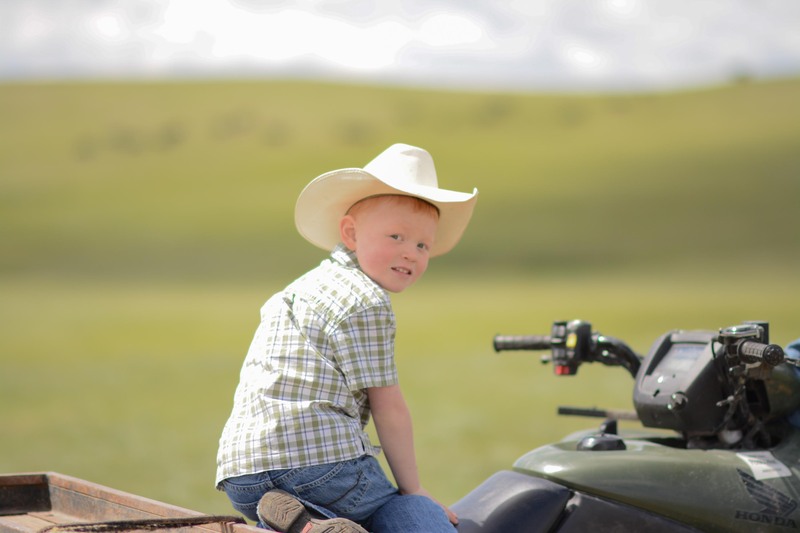 Walker brought a toy animal along to the ranch, because it needed to see “the vet,” grandpa Guy Bradley. Riding through the pastures, the youngster chose a 4-wheeler tour with grandpa over the pickup. Walker loves the ranch. He didn’t have to tell me that, I could tell. It’s easy to look into the future and imagine Walker running his own cattle on the ranch, with the Glacier National Park in the distance, Montana’s big sky squarely overhead. If he can inspire others to do the same, all the more reason for me to cheer him on from here.